Neck pain is considered as a dull or sharp aching in your neck, shoulder along with nearby muscles. This problem can cause headaches, numbness, tingling, tenderness, difficulty swallowing, swelling in your neck, and stiffness. You may suffer from this condition for a variety of causes. The main reason is muscle strain and tension that can be caused by poor posture, sleeping with the neck in a wrong position, jerking your neck during exercise, and working at your desk for long time without taking breaks. Besides, other causes include neck injury, nerve compression, nutritional deficiencies, fibromyalgia, cervical spondylosis, etc. In some rare cases, it is also caused by cancer which involves the spine or infections of the spine. However, neck pain is also not a serious problem and can be healed effectively using safe and natural methods. In this writing, VKool.com will introduce to you top 17 natural home remedies for neck pain relief without any side effect. This article listed the best treatments to get rid of neck pain from reliable sources. However, it is only for the informational target and it is not aimed to give medical advice. Continue reading this writing to understand more! Lavender oil is one of the effective and natural home remedies for neck pain. It will be very effective when it is used with massage therapy. Massage will help to reduce tense muscles and assist you in sleeping better. Firstly, you take a hot shower or bath to relax the sore neck muscles. Then, you rub lavender oil onto your neck and shoulders. Finally, you gently massage the affected area in small circular motions for 10 to 15 minutes. You can repeat this remedy daily as needed. You can also dilute the lavender oil with olive oil or coconut oil. You do not massage your neck area if it makes you feel pain. In fact, massaging your neck area, either by yourself or a professional or your friend is also another remedy in the list of top 17 natural home remedies for neck pain relief. Use these techniques if you are massaging your own neck. At first, you reach the back with the arm and then you grasp your neck with your hand. Make sure that your thumb is on one side and the fingers are on another side. Next, you dig in your fingers and your thumb to knead your neck on both sides. Then, you gently squeeze them well for a few minutes. You may try to practice this motion for several minutes. Another remedy in the list of top 17 natural home remedies for neck pain is to use a cold pack. A cold pack can help to dull the pain as well as limit the lactic acid buildup that causes soreness. Actually, ice will numb the pain and decrease inflammation. Hence, you should try this remedy regularly when you feel pain at the neck and shoulder. Firstly, you seal them and wrap them with a thin clean towel. Next, you place this towel onto your neck where you are feeling pain. Then, you hold this cold pack for at least 25 minutes. Or you can also place this pack between your shoulders and bottom of your head. Exercises can help you to relieve your neck pain quickly because this can reduce tension caused by the strained and tight neck muscles. You should spend at least 15 to 20 minutes per day to do these simple and easy exercises and repeat them when necessary. You nod the head forward and backward. This means that you nod your chin towards your chest and then towards the sky for a few times for several minutes. However, you have to make sure that it may be painful so you do not tilt the head too far backward or forward and have to stop this exercise if you feel pain too much. You nod the head from side to another side to stretch the muscles in the back and front of your neck. It means that you tilt the head from right side to left side till your pain is eased and muscles are less tense. You slowly turn the head completely towards the right side and then the left side. This is a very painful motion when you are suffering from the stiff neck. However, it will help you in preventing the neck pain effectively. You keep turning the head from right to left and vice versa for a few minutes. You may repeat it when you feel necessary to reduce the pain. It is one of the best home remedies for neck pain relief because it can assist you in increasing the blood circulation to your muscles. You should do this remedy after you follow the cold application for about 48 to 72 hours that can help to ease the pain. Then, you apply hot compress or take a hot shower or bath concentrating more on your neck or back area for at least 15 to 20 minutes and repeat the same process for about two to three times per day. Or you can also use a heating pad, heat wrap, hot towel, and hot water bottle to place over your neck. In fact, an Epsom salt bath is another effective home remedies for neck pain because it can help to reduce stress, relieve the muscle tension, and give you immediate pain relief. Besides, the magnesium sulfate in this salt acts as a good natural muscle relaxant which can aid in reducing the swelling and pain. At first, you add Epsom salt into a bath filled with warm water. Then, you soak your body, particularly your neck area, into this water for about 25 – 30 minutes. You may do this remedy daily. Note: If you have high blood pressure, heart problems or diabetes, you have to avoid this remedy. For instant relief from this problem, you should use the balms containing menthol that can help in soothing your muscles and skin. Therefore, you should try this homemade analgesic in order to get relief from your neck pain quickly. At first, you melt coconut oil with beeswax well. Now, you add eucalyptus oil and peppermint oil into this. Then, you allow this mixture to cool for a few minutes and you pour this mixture into the container that has a lid. Finally, you apply this mixture onto your neck along with the surrounding areas. You can repeat this application regularly until you get relief from this problem completely. This vinegar has powerful antioxidant and anti-inflammatory properties that can relieve your neck pain quickly. In addition, it also has many important nutrients to remove the possibility of pain related to the deficiency of nutrient. Firstly, you soak the paper towel into the apple cider vinegar. Now, you leave it on for several hours. You should do this remedy for 1 or 2 times daily. At first, you add apple cider vinegar into the warm bath water. Then, you soak into this bath for at least 20 minutes. You may do this way for one time daily. You can try these steps to do these exercises without actually moving your head. It is also one of the effective home remedies for neck pain that you should follow. At first, you sit erect and relax in a quiet place and then you try to hold the hand up to the forehead and press the palm into the forehead. Now, you place your right hand against your right side of the head and you press it against the hand. However, you have to make sure that you use the hand to resist the head motion and you try to do the same process on the left side. You press both your hands against the back of your head and then try to push the head backward. Here, you must resist the head’s backward motion with your hands. You may repeat this method for several times. After that, you must press the hands against your right side of your face and then try to turn the head towards the right shoulder and use the hands to resist the head motion. You should repeat the same process for the left hand by avoiding the head turning towards the left shoulder. Keep reading the next part of this writing if you want to discover other natural home remedies for neck pain relief! As you know, there are many motion exercises that can help to reduce the neck pain. Exercise will stabilize and strengthen your neck muscles and your upper back. In addition, it will also aid in reducing stress. The following neck exercises can assist you in easing and preventing neck pain effectively. You should apply moist heat onto your neck before doing the exercises. You slowly rotate the neck in circular motions, clockwise and anti-clockwise, to aid in stretching out the agitated muscles. In fact, this can cause a little pain at the beginning, but ultimately it will help your neck to loosen up and heal. Another option, you can move your neck slowly from one side to another side. With each exercise, you should do for five times per session and three sessions per day. When it hurts too much, you should not do the exercises and have to consult your doctor. If your problem is related to a nutrient deficiency, particularly a lack of potassium and calcium, blackstrap molasses is an excellent remedy for you. It contains an abundance of potassium and calcium, which are very necessary for maintaining strong muscles, joints, and bones. Firstly, you add blackstrap molasses in the glass of warm water. You may drink this solution for about 1 or 2 times daily. You can use turmeric as a natural remedy in the list of top 17 effective home remedies for neck pain. Turmeric contains curcumin that is an important phytochemical. It acts as a good anti-inflammatory agent and thereby helps you easing the pain. In addition, turmeric can also aid in improving blood circulation, which will assist you in speeding up the recovery process. At first, you mix turmeric powder in the glass of milk. Then, you heat this mixture over low heat for about 5 minutes. After that, you remove it from heat and add honey into it. Finally, you allow it to cool and drink it. You may drink this for 1 or 2 times a day. Ginger contains a natural anti-inflammatory property that can improve blood flow and circulation to the affected area. Therefore, this will help to reduce the pain and inflammation. At first, you cut ginger piece into small slices. Then, you boil these ginger slices in water for about 10 minutes. Finally, you let it cool and drink the tea. You may drink this tea for two or three times cups per day for a few days. Firstly, you add the ginger powder in the glass of water. You can drink it for three times per day for a few days. At first, you wrap freshly grated ginger in the cheesecloth. Then, you put this cheesecloth into the hot water for about 30 seconds. Finally, you allow it to cool and place it onto your neck area for about 15 or 20 minutes. You may repeat this remedy for a few times per day. Cayenne pepper contains capsaicin that has analgesic and anti-inflammatory properties. This will help to reduce your neck pain effectively. At first, you add cayenne pepper powder to warm olive oil. Finally, you apply this mixture on your neck area. You can follow this simple remedy for two times daily. You should lie down without your pillow to give the neck muscles a break. You have to reduce stress because it can cause muscle tension. You should perform abdominal breathing exercises in a silent and open place. Also, you can practice some relaxation techniques such as meditation and yoga. You have to maintain a healthy weight. You can go swimming regularly in order to strengthen your neck and back muscles. While you work, you should sit on the comfortable chair. You have to hold your phone onto your ear and should not crimp it between the neck and shoulder. You should sleep on a firm and smooth mattress and keep the head aligned with the spine while sleeping. In addition, you also stop smoking because it can slow up the healing process. Finally, you avoid driving till your stiffness and neck pain are gone. If you want to know more about natural home remedies for other diseases and conditions go to our main Home Remedies page. After reading the article of top 17 natural home remedies for neck pain relief, hope that it can help you find out the best solution to get rid of neck pain quickly and easily. 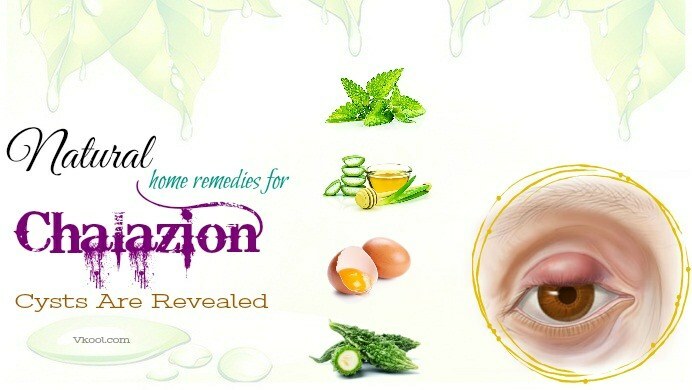 Nevertheless, the article is only for the informational purpose, thus, you should meet your doctor to get advice before applying any natural home remedy. If you have any question, or you know other natural home remedies for neck pain relief, please leave them below.